There are a lot of great writing prompts in here that will jump start a student's creativity! 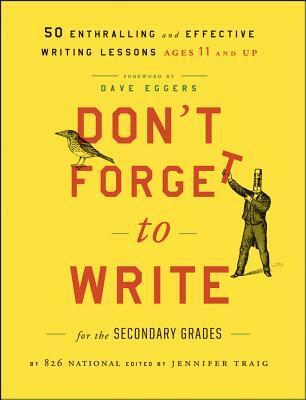 This book has an incredible assortment of writing exercises by such rock-stars as Dave Eggers, Tom Perotta, Sarah Vowell, Kristen Schaal, and Steve Almond. A helpful toolbox of teaching ideas that could be used for all ages. A few good activities in here, especially the 20 minute story. I liked the different genre activities a lot!